A beautifully produced video documentary illustrating the biography of Frederic Chopin, a polish born child genius and composer. Frederic Chopin Video (DVD) is a beautifully produced video documentary illustrating the biography of Frederic Chopin, a polish born child genius and composer. He merged Slavic impacts into his works. Frederic was inspired by Paganini’s devotion choice of a soloist instrument, the violin, that he decided early on in his life that he would compose for the piano only. Paintings, sketches, and cinematic illustrations of Frederic Chopin and his times compliments the music. Frederic Chopin Video (DVD) features archival footage, which include Alexis Weissenberg, Bryon Janis and Arthur Rubinstein chatting about how genius Chopin is. Other footage include several excerpts of historical performances by Victoria Postnikova, Martha Argerich, Rubinstein, Samson Francois and Witold Malcuzynski. 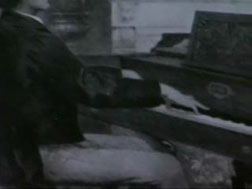 Thus, Frederic Chopin Video (DVD) highlights the reason for Chopin’s dedication to the Piano. This specialization may be the reason why he became a genius in piano composing. The video is 27 minutes long.